When I worked in retail, a lot of people would look specifically for made in the USA. Well, today, I'm going one better and showing you three things - a line of accessories and sportswear, sweet treats and a gift-y item (fantastic options for Mother's Day which btw is this Sunday, May 10th) - that are all made right here in Rhode Island because after all, #LocalIsTheNewBlack. Even though I grew up blue collar - in a tenement house on Providence's West Side (My dad was a Teamster and my mom was a community organizer.) 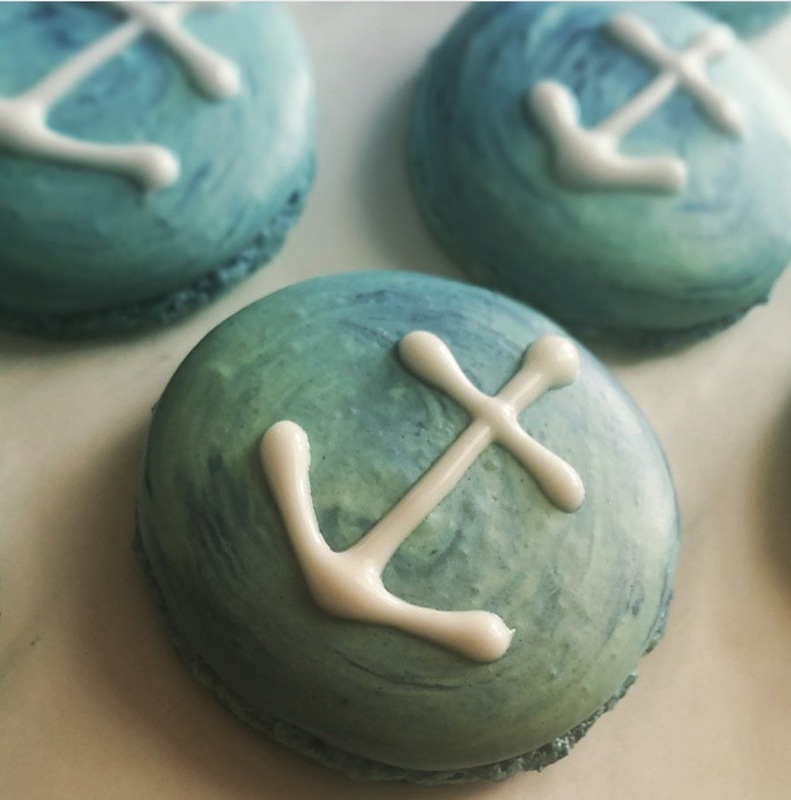 - I've always been borderline obsessed with New England preppy style, including pearls, anything navy, stripes, and of course, anchor motifs. So, when an old friend texted me about Kiel James Patrick the other day, I knew I had to order something from his line of anchor bracelets (inspired by those fisherman bracelets made out of braided rope you still see occasionally in souvenir shops in places like Newport or South County, only way more stylish), belts, and button ups. Everything's made in Pawtucket, RI too. A few of my personal favorites (above) are the Breakfast At Tiffany's (what Holly Golightly might wear on her wrist if she were staying at The Ocean House circa 2015), the Rory Gilmore (a fun update on a prep staple, also named for one of the two leads on Gilmore Girls, a tv show I used to binge watch back in the early 2000's), the ACK Latitude (featuring a square, or sailor's, knot detail) and the Constellation Rodgers (with classic solid navy cord). All the bracelets, available in sizes xs-xl, may be worn alone or stacked - if that's your signature look these days. Click here to find stores that carry the Kiel James Patrick line. If you're looking for a personalized gift that's a little unexpected and a whole lot awesome, there are coasters by City Sparrow Designs. Not only does City Sparrow offer all kinds of anchor and nautical options, but "they" (aka, Kim Ledo, the woman behind CSD) will also make a custom coaster set for you based on everything from a much loved photo of you and your significant other (#Wink) to a company logo or slogan. Find more info on their IG or Etsy. Photo Credits: All pix of Kiel James Patrick items courtesy of their website. Pix for Silver Spoon Bakery and City Sparrow Designs courtesy of their IG accounts.